Psychologist Uzi Ben-Ami, Ph.D., assists clients at his private practice, based in Rockville, Maryland. Outside of work, Uzi Ben-Ami, Ph.D., enjoys traveling, taking photographs, and reading. His favorite works include those written by John Bowlby, Viktor Frankl, and Erich Fromm. 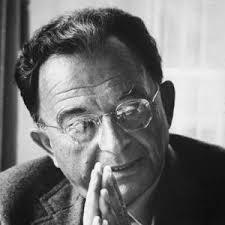 A noted psychoanalyst and social philosopher, Erich Fromm was born in Frankfurt, Germany, in 1900. After studying legal theory at the University of Frankfurt, Fromm went to Heidelberg University, where he earned a doctorate in sociology while studying under the influential sociologist Alfred Webber. Soon after earning his Ph.D. in 1922, he switched the focus of his academic and professional pursuits to psychology and began training in psychoanalysis. Fromm taught in Frankfurt for several years before fleeing his home country following Hitler’s rise to power in the early 1930s. He eventually settled in the United States and subsequently held teaching positions at several schools, including Columbia University, Yale University, and Bennington College. Fromm also taught at the New York Psychoanalytical Institute for a number of years. Although he held Sigmund Freud in high esteem, Fromm became one of the most outspoken critics of Freud’s theories, including the Oedipus complex. Along with Karen Horney, Carl Jung, and others, he was part of a group of psychoanalysts known as neo-Freudians. Fromm produced several notable publications, including Escape from Freedom, Psychoanalysis and Religion, The Sane Society, and The Anatomy of Human Destructiveness. He continued to work up until his death in 1980.